The debate on casteism is back! The National Commission of Backward Classes on Tuesday, February 9, wrote to the ministry of social justice to bring in a bill to provide 27 per cent job reservations for other backward classes in the private sector. 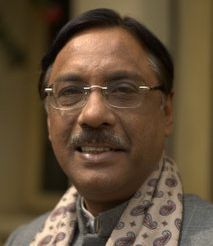 Former diplomat Ambassador Pavan K Varma -- now a Janata Dal-United member of the Rajya Sabha -- tells Syed Firdaus Ashraf/Rediff.com why it is important to have caste-based reservations in the private sector. Why do you support reservations in private sector jobs? In a country like ours there are such vast discrepancies in the economic system. We have the largest number of abjectly poor people in the world, including the largest number of those who are illiterate and malnourished. The corporate sector needs to be a partner with the government to promote economic growth with social justice. Given the background, the corporate sector should have on its own committed itself through a programme of affirmative action. In fact, in 2004, 218 leading corporate houses and their associations had given a letter to the then prime minister saying that they would implement in letter and spirit affirmative action to empower persons who are socially and educationally backward. I do not believe that has happened, except for a few notable exceptions. When was this letter given and why was it given? It was given on November 18, 2004, when there was a dialogue between the then prime minister, Dr Manmohan Singh, and the corporate sector on the need for affirmative action. The spirit of the Constitution supports affirmative action, otherwise there would not be a provision for reservations for scheduled castes and scheduled tribes. Subsequently, by an amendment to the Constitution, we have also included reservations for the Other Backward Classes. In the government sector, jobs have been shrinking after 1991 and the liberalisation policy. In fact, from 2006 to 2012 there has been a 3.3 per cent decline in the number of jobs available in the government sector whereas in the same period there has been a 35.7 per cent increase in the private sector. The private sector uses government support, including the great many loans from public sector banks which have not been properly utilised or underutilised. In this situation the government and the corporate sector must join hands to implement action which allows all of India to develop. Do we have any study which says that OBCs are not appointed in the corporate sector? It is a matter of fairly easy verification. Please take the top 500 companies on the Bombay Stock Exchange and see what per cent senior management are from the OBCs, SCs or STs. My claim would be subject to verification that they are a miniscule minority. It is not that talent is a monopoly of a few castes who have been privileged over centuries. Talent also exists in other groups. They need opportunity and exposure to training. You will find the best talent among them too. Don't you think you are dividing society by introducing caste-based reservations in the private sector? If affirmative action is seen as a divisive instrument, you will not have it in most countries like the United States. It is not about dividing society, but creating the foundations for creating a society where the possibilities and opportunities for development are available to all. This division that you have in mind exists and becomes stronger when you deny affirmative action in a society where such divisions already exist. First of all, America need not be our only template. But if you study the diversity bill (of the US), it was brought into being only to ensure that people of other races and colour should not be excluded from jobs available. Similarly, in our country, I would be much happier if the corporate sector on its own put into place a vibrant programme which empowers and provides opportunities to those who are educationally and socially backward and to the SC/STs. They constitute the numerical majority of this country. You must increase and expand the catchment area from which you can pick and develop them. It cannot be restricted always to a small segment which has always been the beneficiary of both social approval and economic opportunity. That's the point. When our Constitution was framed, it was decided we would do away with reservations after 10 years. Why did we as a nation not give up on reservations? The founding fathers of our Constitution felt that 10 years would be sufficient to create the necessary transformational change, but subsequently we realised that the magnitude of the problems was such that you needed more time for it to have effect. I am not saying that everything is right with the reservation system. The Supreme Court itself has referred to a creamy layer. However, you cannot throw the baby out with the bath water. More time is needed. This is not just a theory. Walk into any village anywhere in India and you will find a difference in the standards of living and social esteem between the relatively upper castes and Dalit sections, even today. So you have to understand the problem. It is not that these people don't have talent. They must be given a chance. What have we achieved in the last 70 years, then? They have been given a chance in government jobs. And secondly, how long do you want reservations to continue? I don't know for how long, why are you so impatient? When you impose a system of oppression and exclusion for 2,000 years, nobody in the upper castes was impatient for change. It is only 65 years and you are saying, 'How long?' Why? What will you tell an economically poor boy from, say, a Brahmin family if he loses his job in the private sector to a backward person? Government policies must do whatever they can to eliminate poverty and that includes those from the upper castes. What can be done for them should also be done. In Bihar, for example, apart from reservations for SC/STs and OBCs, the government has set up a commission for those who are economically deprived among the upper castes. There are a range of measures you can adopt for them. However, reservations as a concept in the Constitution talks of the socially and educationally backward. It does not speak of economic criteria at the moment, but government policies must also try and benefit those who are poor, irrespective of their caste. Don't you think the government's priority must be to create more jobs rather than create reservations in existing jobs? In fact, the two are not either or. The government must create jobs and the economy must grow and the current government is not doing a particularly splendid job in that direction. But at the same time, economic growth without social justice means very little in a country like ours. The BJP (Bharatiya Janata Party) will say your party is an expert at playing caste politics. 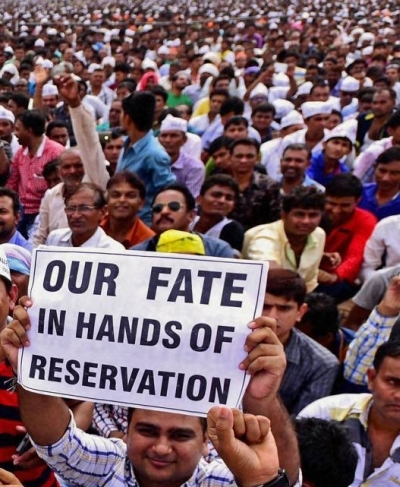 You won the Bihar assembly election because of caste combinations and therefore you are now bringing this issue of reservations in the private sector. The BJP plays the caste card better than any other party. Kindly note there is a direct co-relation between socio-economic deprivation and caste. If you are a Dalit and even if you want to hide the fact, you can't. If you belong to the extremely backward classes you cannot hide the fact and your level of opportunity and socio-economic development largely corresponds to where you figure in the caste hierarchy. That is the unfortunate aspect of India. You believe the BJP plays caste politics. They are the masters. They make a caste calculus before any other party can do it. If you want proof, see what they did in Bihar. Didn't the JD-U win the assembly election along with Lalu Yadav and the Congress party? We won the elections not because the BJP did not try to win. Ram Vilas Paswan, Jitan Ram Manjhi and Upendra Kushwaha were part of the BJP alliance not because they were particularly led by good leaders, but because of the caste combinations. Does it mean that caste will be made a major issue in the 2019 general election? Caste should not be an important issue, but social injustice will be an issue and will remain so until we put our society on a track where everybody gets the right opportunity. Prime Minister Modi, left of centre?